Cool. We just pumped our first batch of milk. So tonight Renata can sleep more cos the nurses will use the milk for one of Ethan's feeds. After much of Ivan's online research we decided on this Avent Isis IQ electric pump. It's infinitely variable on pressure and speed and convertible to manual mode. 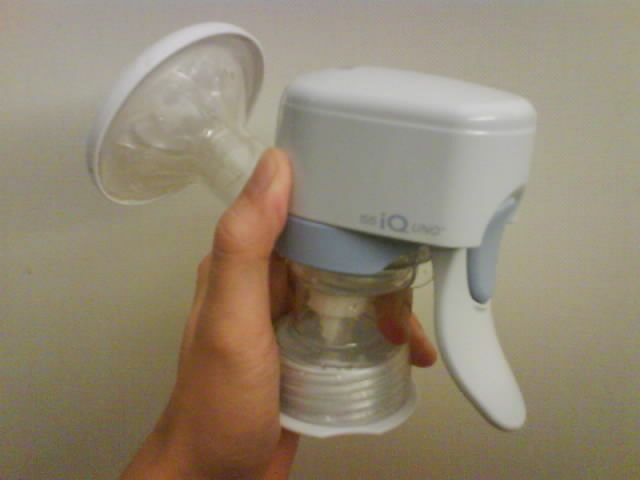 Like tiptronic transmission for breast pumps! Hey cool I should show Rach this. Can you get this in Australia ?